Mostly the same in the East, except I have the Isles taking the Pens in Rd 1 - mostly because I want to see the local DC drama of Trotz coming back in Rd 2 to face the team that stiffed him for a contract. Delete sys32 and try again. Several people picked the Isles...no one picked CBJ. It looks like most of us had TBL winning the cup. hahahaha. It feels good to be wrong. Hopefully I'll be wrong about Boston too. 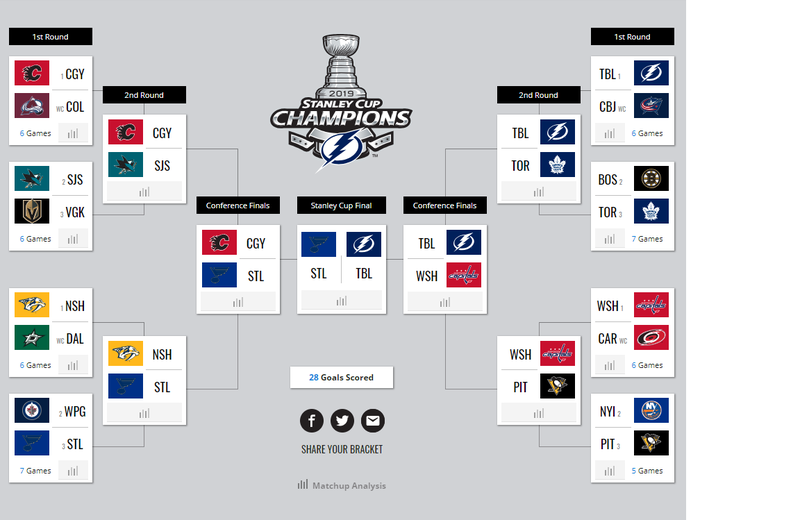 I got scared when I looked at my post showing my bracket because I thought I had changed the SJ VGK series pick. Turns out I did but posted the old version. phew!